Preparing for surgery will likely begin with a medical evaluation. During the evaluation, your doctor will assess your general health, looking for any problems that could complicate surgery or your recovery. During the evaluation, your doctor may order tests on blood and urine samples as well as tests like an electrocardiogram or chest x-rays. If you are taking any medications, it's important to tell your doctor the specific medications and doses you are taking. You may need to stop taking some of your medicines for a while before surgery, while you can continue others. Be certain you report all over-the-counter and herbal supplements you are taking. You may be asked to stop taking some of these before the surgery. If you are overweight, your doctor may recommend that you lose some weight before surgery to minimize the stress on your new hip and possibly decrease the risks of surgery. Your doctor may also recommend exercise to strengthen your muscles and improve your general health and recovery. In case you might need blood during surgery, your doctor may recommend autologous blood donation. This means you have your own blood drawn several weeks before surgery and stored in case you need it. Because dental procedures can allow bacteria to enter the body and these bacteria can potentially lodge in the joint, your doctor may recommend that you have any needed dental work before your surgery. 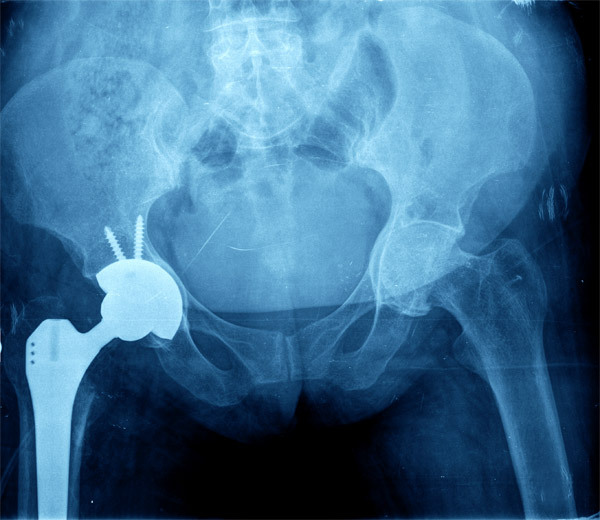 Before any future procedures, tell the healthcare provider about your artificial joint. You may need to take antibiotics for some dental, eye, and certain other procedures to prevent the possibility of infection in and around the artificial joint. It's also important to know as much as you can about the procedure and what to expect before you have it. This Web site is a good place to start. Your doctor should be able to give you written information or recommend other sources. Many people find it helpful to speak with someone who has already had the surgery. If you think you like might to speak with someone, ask your doctor to recommend someone. Also, some hospitals have classes for prospective hip replacement patients. Ask if the hospital where you will be having your surgery has one and sign up to learn more about the surgery itself and recovery afterwards.